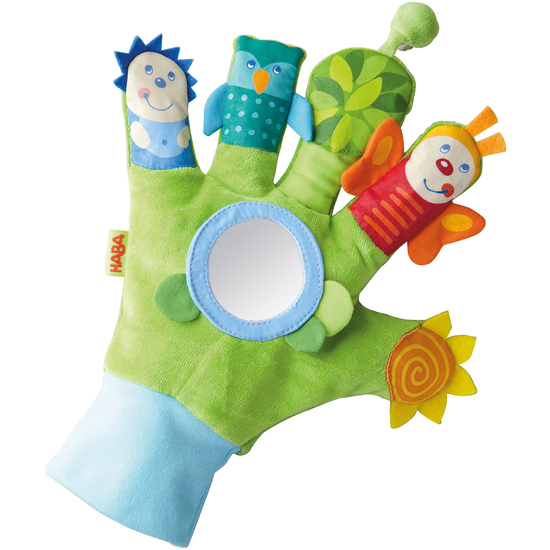 All babies will be entralled when mom or dad put this play glove on; time will just fly by. Each finger offers something else to discover. Be it touching, listening, watching, or playing … the glove is truly multi-talented.